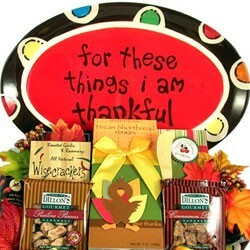 Show friends, family, colleagues and clients that you are thinking of them. 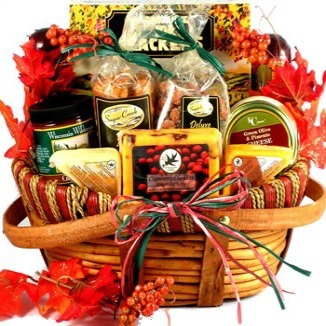 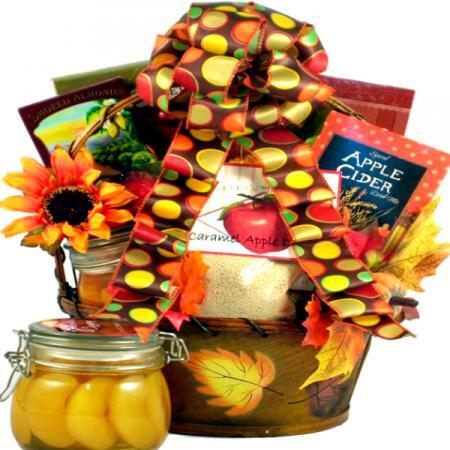 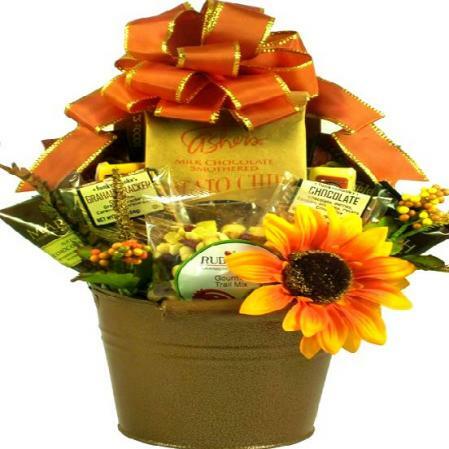 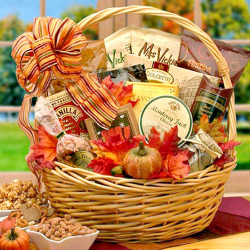 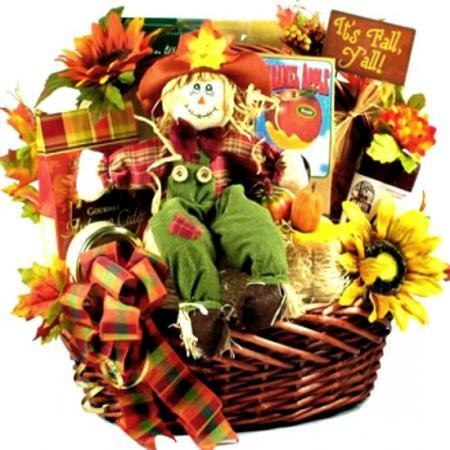 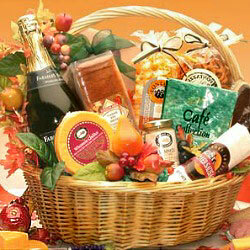 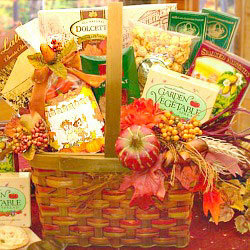 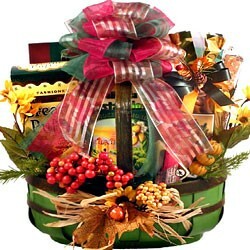 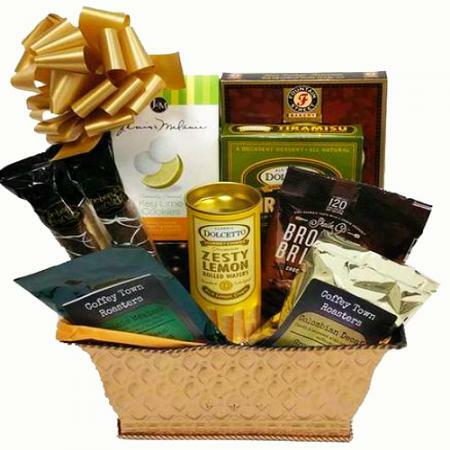 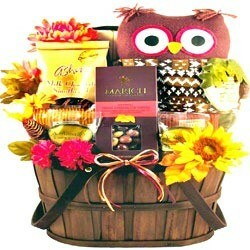 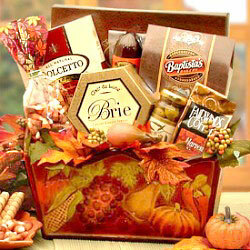 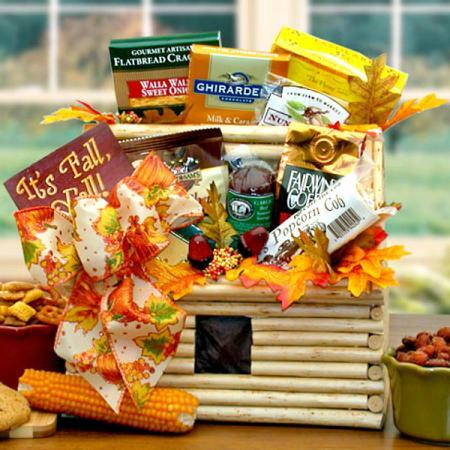 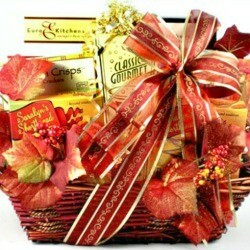 Send this big Fall food gift basket, it's bound to be a huge hit. 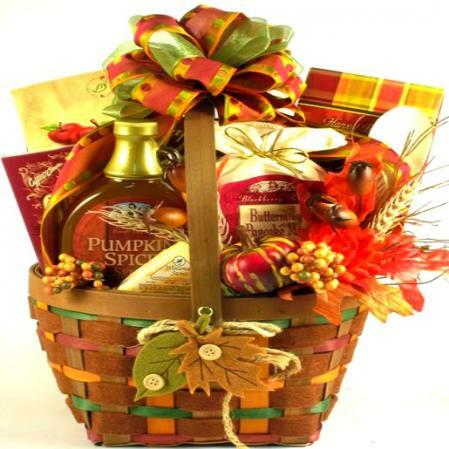 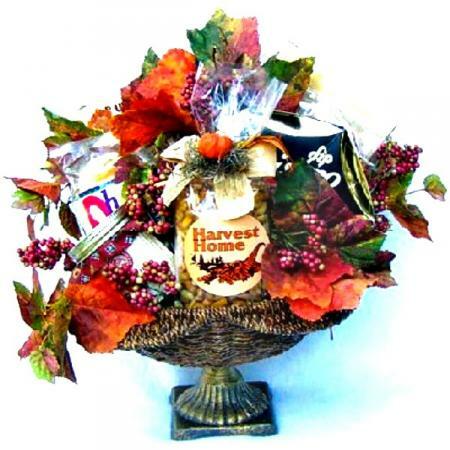 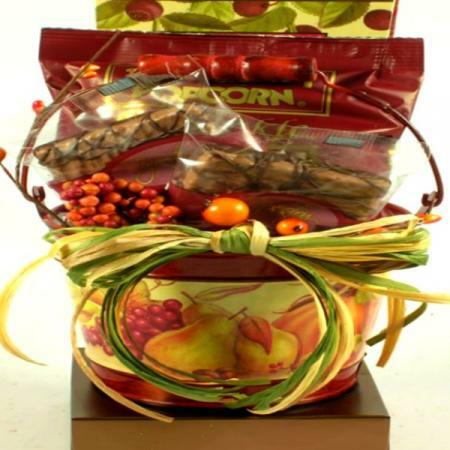 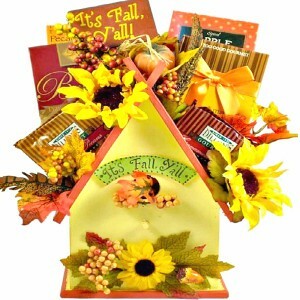 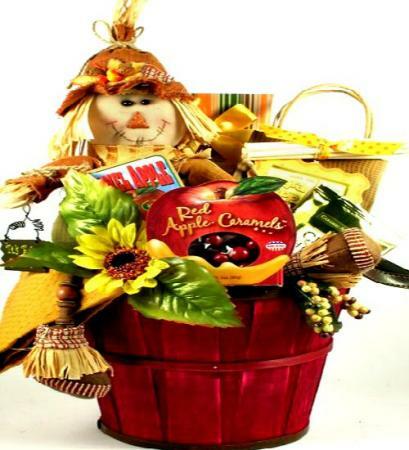 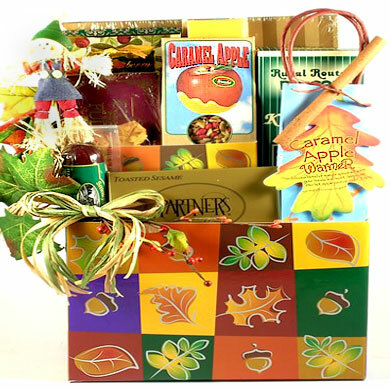 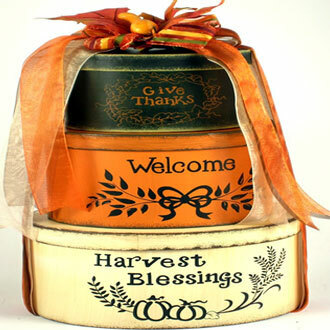 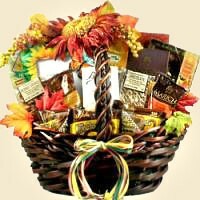 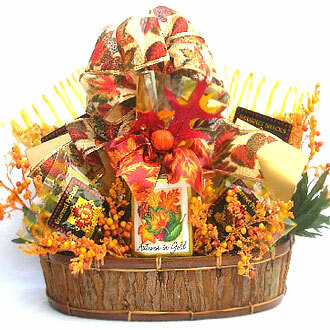 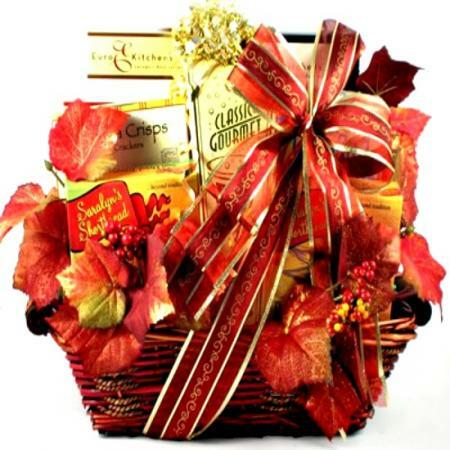 The rich shades of autumn are proudly showcased in this wonderful, over sized gift basket, that is packed full of delicious gourmet treats and sweets that will treat them to a very special taste of autumn! 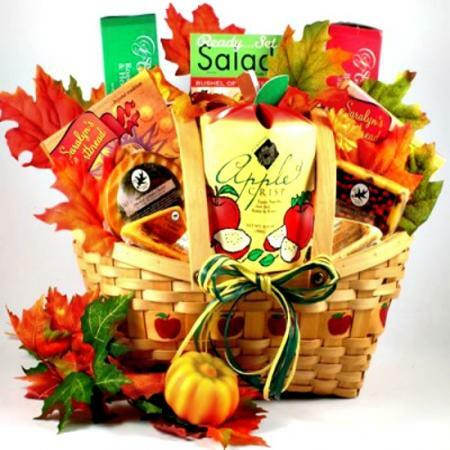 Perhaps we should have called this large gift basket "Autumn Feast"! 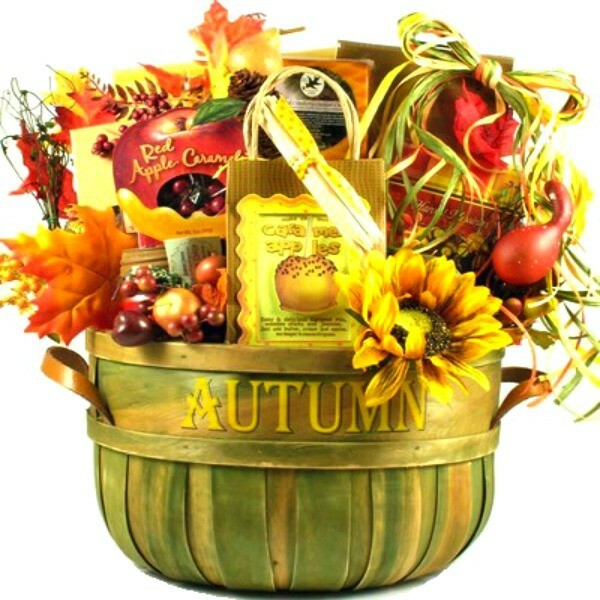 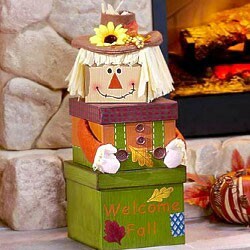 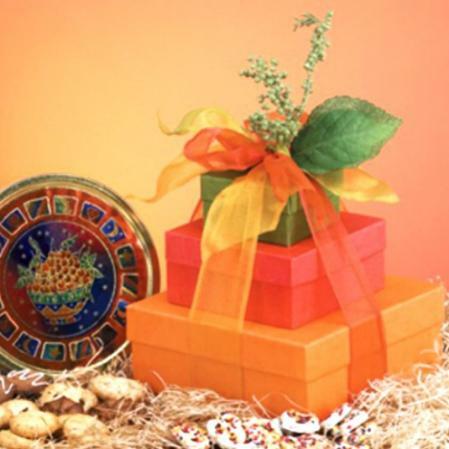 It is truly a gorgeous gift and a great way to welcome in the change of the seasons.